One only need look to the Nazis' brutal persecution of the Jews earlier this century or the more recent genocide of the Bosnian Muslims to see how ethno-religious groups can suffer so terribly at the hands of racists. Quite often however, religion is itself responsible for racist oppression. Middle-Eastern origins aside, Judaism is regarded as a Western religion. But the almost complete assimilation of Jews into all levels of Western society actually betrays Judaism's elitist reality. A pious interpretation of such biblical verses would be to suggest that in those days, God (Allah) was not worshipped except by the Israelites. However, even today Jews still consider themselves as the exclusively chosen race of God. And likewise every other prophet was sent exclusively to his own people; every prophet that is, except Muhammad. As Muhammad was Allah's final Messenger to humanity, his message was a universal one with the capacity to unite not only his own nation, the Arabs, but all the peoples of the world. The monk then proceeded to describe this prophet, his character and where he would appear. Salman immigrated to Arabia, the land of the Prophecy, and when he heard about and met Muhammad, he immediately recognised him from his teacher's descriptions. Salman's long search for the truth was finally over and he embraced Islam. The Prophet loved Suhayb a great deal and described him as having preceded the Byzantines to Islam. Suhayb's piety and standing among Muslims was so high that when Caliph Umar was on his deathbed, he selected Suhayb to lead the Muslims whilst they were choosing a successor. Every faith besides Islam calls for the worship of creation in some way, shape or form. Moreover, race and colour play a central and divisive role in almost all non-Islamic belief systems. In Christianity, through the Prophet Jesus and the saints and in Buddhism, through Buddha and the Dalai Lama men and women of a particular race and colour are worshipped as deities in derogation of Allah. In Judaism, salvation is withheld from the non-Jew Gentile. Hinduism's caste-system likewise degrades and checks the spiritual, not to mention social, political and economic aspirations of the 'unclean' lower castes. 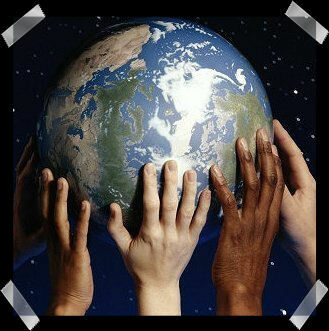 Islam, however, seeks to unite and make one all the creatures of the world upon the Unity and Oneness of their Creator. Thus, Islam alone liberates all peoples, races and colours in the worship of Allah alone. Hence every one of the famous twelve disciples of Jesus was an Israelite Jew. The one biblical passage where Jesus is supposed to have told his disciples to 'Go and preach unto all nations, baptising them in the name of the Father, Son and Holy Ghost.' (Matthew 28:19), commonly quoted to prove the Gentile mission as well as the Trinity, is not found in any pre-sixteenth century manuscript and is thus considered 'a pious fraud'. The Byzantine or East Roman Empire was finally brought to an end when its ancient capital, Constantinople, was conquered by the young Ottoman Sultan, Muhammad al-Fatih, in 1453CE. The conquest was a watershed in world history, marking the end of the Middle Ages as well as the fulfilment of a prophecy of the Prophet Muhammad. 'Al-Jam'ah' refers to the group of Believers who are united upon the pure, unadulterated Islam of Muhammad and his Companions. In 922CE Islam became the official religion of the Volga Bulgars, a turkicised Iranic tribe originating from the ancient Afghan city of Balkh. The present-day Bulgarians, Volga Tatars, Chuvash and various Caucasus tribes all trace their ancestry back to the ancient Bulgars.